Chasin' Mason: [Birthday Week] Thursday - Birthday Day! 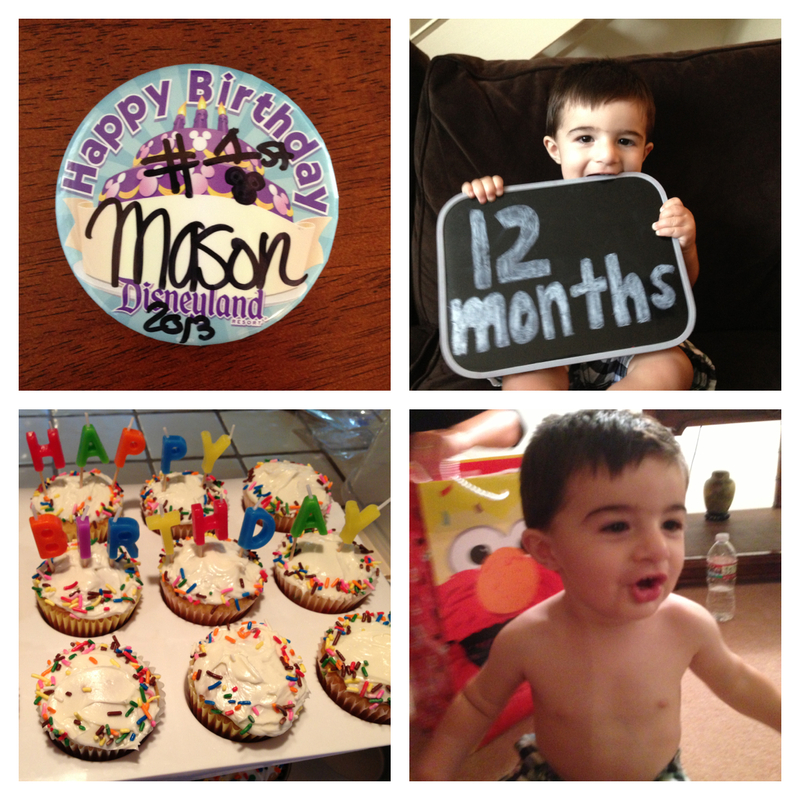 A very HAPPY HAPPY FIRST BIRTHDAY to my sweet little man, Mason! 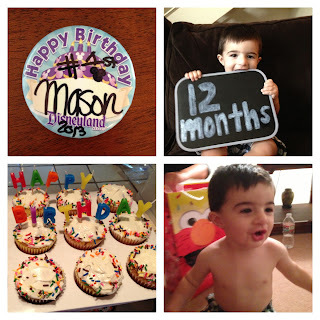 And a very happy birthday to Mason's birthday twin, Brandon! The day started off at Disneyland and ended with Mason being naked!